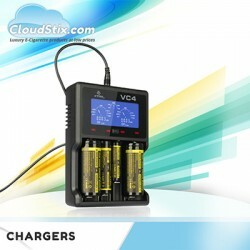 When it comes to battery safety then Cloudstix takes charging cells very seriously. This is the reason why we would only offer you the very best, reliable brand on the market with years of experience in this field. XTAR are by far the most outstanding brand when it comes to safe battery charging and here at Cloudstix we stock the full range of XTAR chargers. Simply browse through the units or indeed use the product filters to select the number of bays you would like. If you have any questions then our staff are on hand to help.